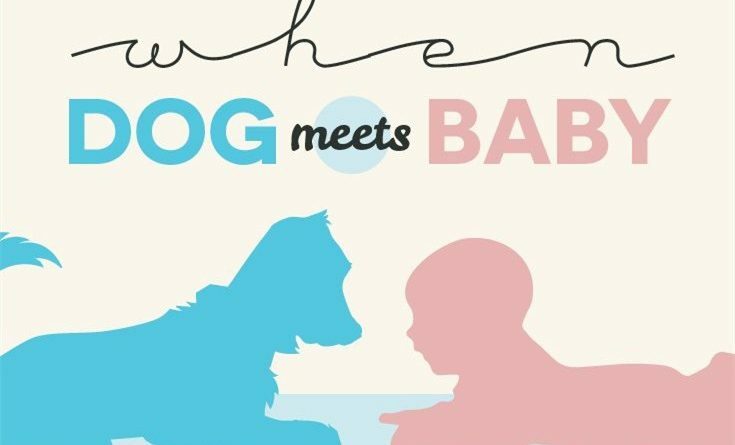 When Dog Meets Baby – Tips and tricks for new parents! Bringing home a newborn means adjustments for your household, since for many couples, their pet may be their first “baby.” Strategies exist to prepare your favourite four-legged friend for the newest two-legged addition to the family. 1.Allow your pooch to smell and investigate all the baby gear you buy. 3.Before the newborn is brought home, have someone bring an item with her/his scent for the dog to smell. Baby cries can even be jarring for new parents, so imagine how stressful it can be for an unexpecting animal. To reduce this stress, expose your pet to infant cries long before it hears the real ting. Play sound recordings of baby noises, and paire the sound of crying with high values treats, thereby creating postive associations. When you come home frome the hospital, remember that you have been gone for several day and your pet will be excited to see you. Spend a few minutes alone with the new older brother or sister before you introduce it to the new baby. Pets should never be left unattended with an infant or small child. Always superive. reward pets for good behavior. Reward your pet for being calm and obedient around the baby. You want your pet to associate the baby with positive experiences.